Noncitizens, including legal and illegal, use nearly twice as much welfare as native-born Americans, according to a study. Out of households headed by noncitizens, 63 percent use some kind of welfare program, compared to 35 percent of houses headed by native-born Americans, the Center for Immigration Studies said, citing the Census Bureau’s Survey of Income and Program Participation in 2014. Of the non-citizens in the Census Bureau data, about half are in the country illegally. Non-citizens also include long-term temporary visitors, such as students, permanent residents who have not been naturalized, or green card holders. 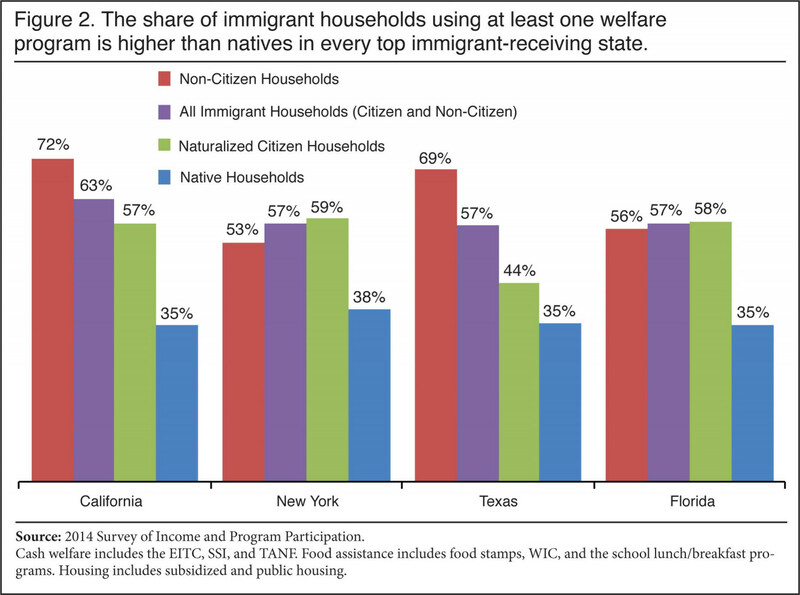 Noncitizen households have a much higher use of welfare food programs—45 percent compared to 21 percent for the native-born households—and Medicaid, 50 percent vs 23 percent for the latter. 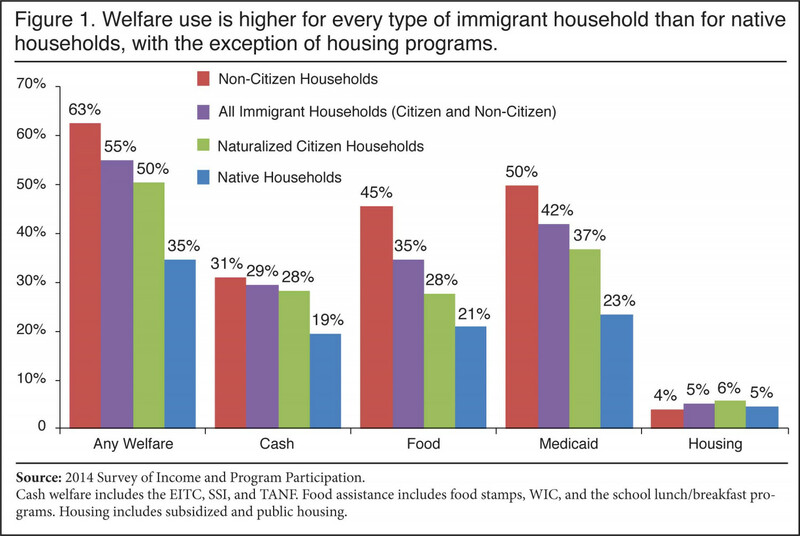 Including the Earned Income Tax Credit, 31 percent of non-citizen-headed-households receive cash welfare, compared to 19 percent of native-American-headed households; if the credit isn’t included, then the receipt of cash welfare among non-citizen households drops to 6 percent, versus 8 percent for the other category. There are barriers that are supposed to prevent most new legal immigrants, or green card holders, from accessing most welfare programs, in addition to illegal immigrants and temporary visitors, but there are a number of ways to skirt the barriers. Some states provide welfare to all one, two, or three of the categories while illegal immigrants can get benefits on behalf of their U.S.-born children. Among non-citizen households that have been in the United States for more than 10 years, 70 percent use one or more welfare program, versus 50 percent of households that have been in the country for less than 10 years. 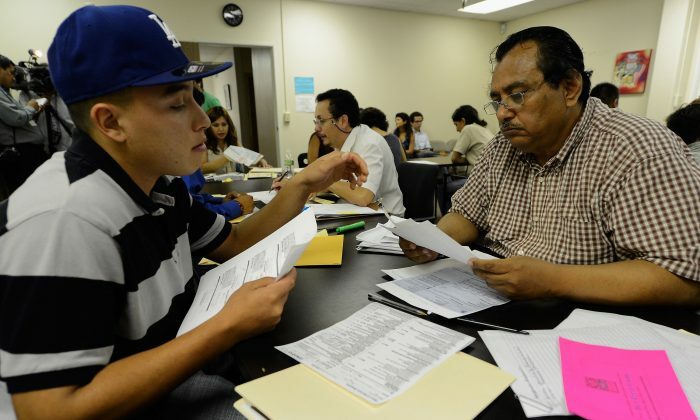 According to the center, “The primary reason welfare use is so high among non-citizens is that a much larger share of non-citizens have modest levels of education and, as a result, they often earn low wages and qualify for welfare at higher rates than natives.” Of the households, 58 percent are headed by someone with no more than a high school education, compared to 36 percent of the native households. Of non-citizen households headed by someone with a college degree, only 28 percent use welfare. “Using education levels and likely future income to determine the probability of welfare use among new green card applicants—and denying permanent residency to those likely to utilize such programs—would almost certainly reduce welfare use among future permanent residents,” the center stated. The study was published in December. 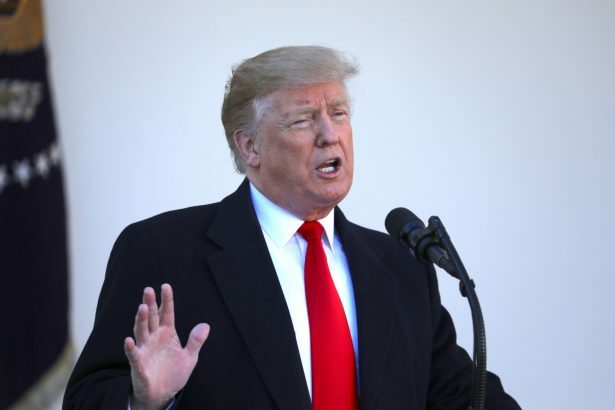 It drew attention after President Donald Trump said on March 11 that he doesn’t want immigrants coming to the United States that will be dependent on welfare. The answer came in response to a question from Breitbart that cited the study. Trump said that unlike him, Democrats want just about anyone to come into the country, regardless of education level or their capacity to support themselves. A number of Democrats have said they’re against a border wall while many recently voted in favor of illegal immigrants being allowed to vote. “They’ll take anybody into this country and we’re not allowing it, but because of the success of the country economically, some people say—I blame myself, but that’s a good blame not a bad blame—but because of the country’s success and you need workers here,” Trump said.